Thailand is a well traveled backpackers paradise. Some places, seemingly, you see more travelers than locals. And some locals seem, frankly, over the influx of foreigners to their country. As such, we decided to take a step out of our comfort zone, and visit a small town in the countryside, that was barely a blip on the map. After a long packed ride on the local bus, we pulled into Thaton, surprised to see the grinning face of Renato, our homestay host. 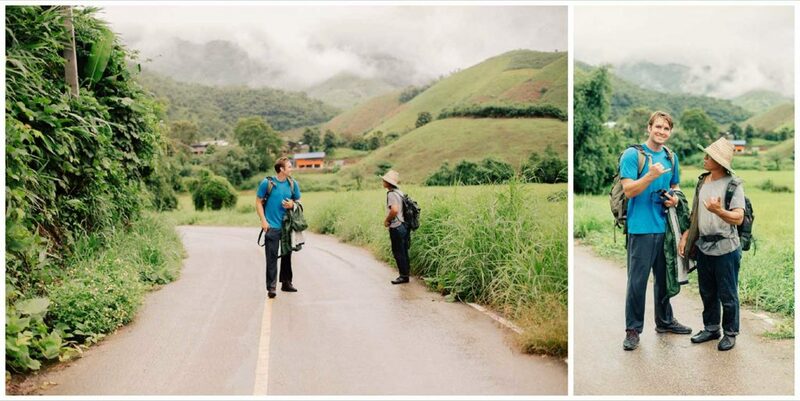 We booked two days at his homestay, during which we would trek to see some local village tribes. He loaded us comfortably into the back of his truck, handed us some fresh dragonfruit and banana chips, and we were on our way through the countryside. Upon arriving, Renato showed us to our own little jungalo. We were staying in a little bamboo house that Renato built entirely on his own. It is simple, rustic, and remote. Just what we had wanted. We had everything one could need for a couple of nights in the countryside. There was a lanai with a couple of hammocks, a shower and toilet, and a little changing area. At night all you hear are frogs and rain, it was perfect. After a couple of hours of swinging in a hammock and enjoying all the new sights, sounds, and smells, we came down to dine with Renato and his family. Excited to learn more about our host and get a taste of what life was like for him.Dinner consisted of rice, morning glory, and a broth of pumpkin and some pork bones. The food was typical for a rice farmer such as himself. Meat is rare, and expensive. Rice is a staple of every meal, and plenty of locally sourced vegetables that Renato had got from friends. Even though he doesn’t drink himself, he generously offered us a small glass of rice wine as well. 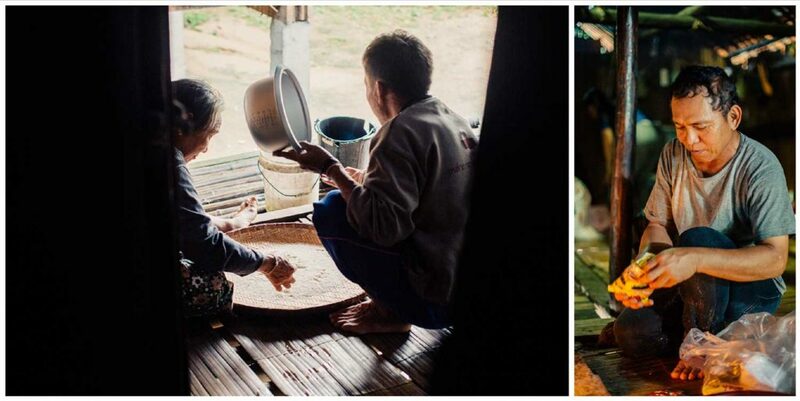 Renato making us noodle soup in his friends bamboo home. As we sat eating, in the dimly lit kitchen, I looked around at Renato’s home. 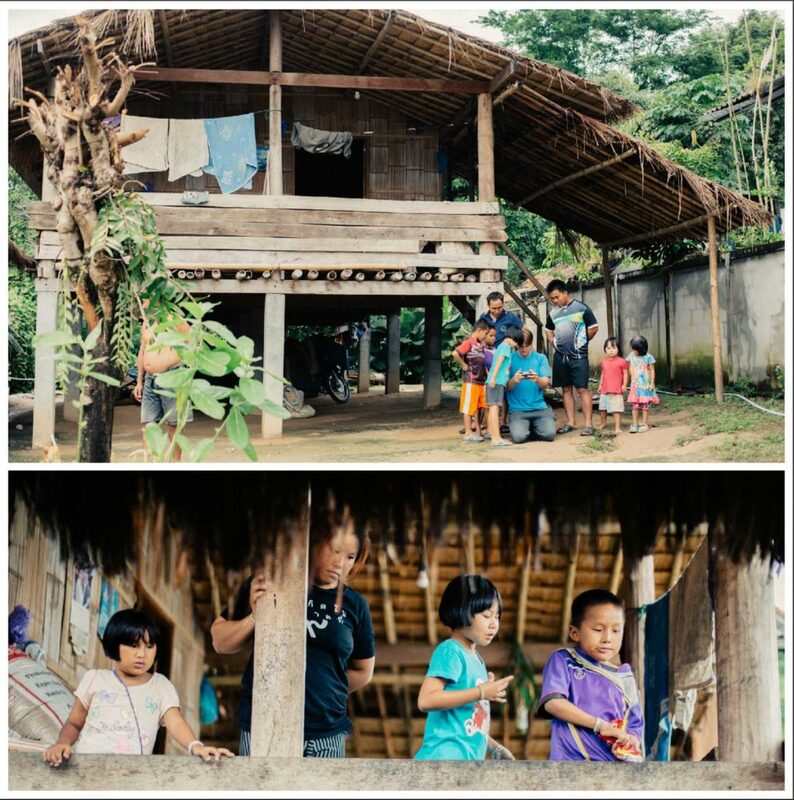 The house consisted of bamboo walls, a thatched roof with some tin, and concrete floors. There were no doors, just a few walls partitioning off certain areas. There was minimal furniture; a mini fridge, a cabinet for food, a table with some chairs. There were no decorations, everything inside had a use. Even though it was barely just dusk, the inside was fairly dark, minus a small light in the kitchen, and an old tv set flickering in a bedroom. 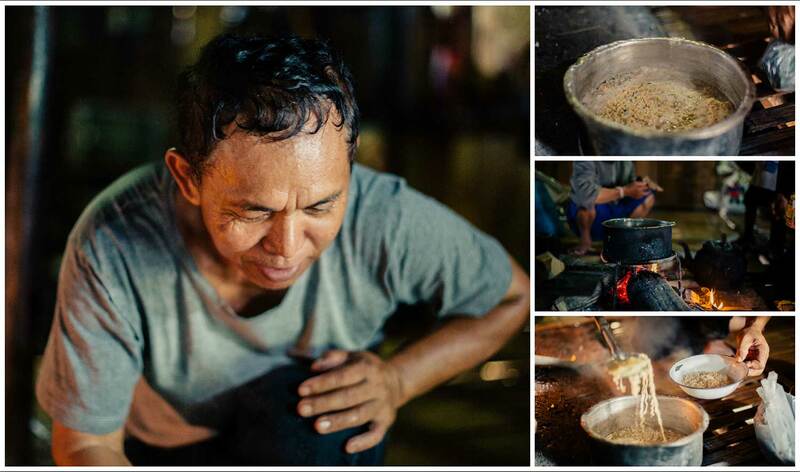 Renato had built much of the home, but he told us how everyone in his family had been born in the kitchen. Including himself. He was a pretty inventive builder and it turned out for extra work he helped other people in the village build homes as well. 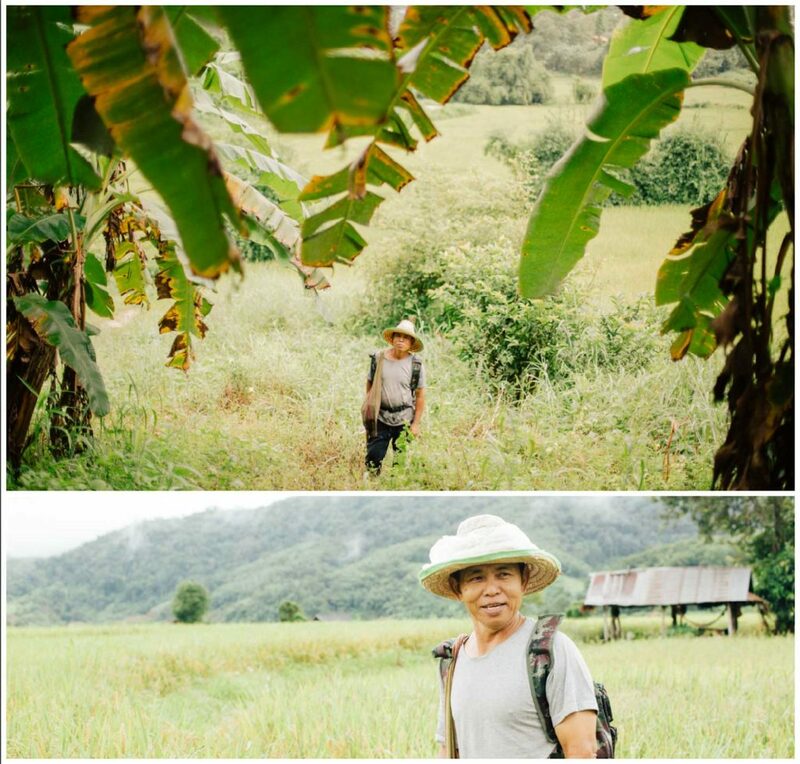 The next day, after a breakfast of eggs, coconut pastries, sweet sticky rice and fresh tropical fruits, we went trekking through the rice fields and up to Renato’s village. Everyone lived in little bamboo houses just like his own, and had little farms and fruit trees that they lived off of. As we walked through this little village people came out and smiled. We were offered lilikoi, starfruit, and local vegetables. We ended up dining with a family he knew from the Lahou tribe. There we had another traditional meal of rice noodles in broth with some cucumber we had picked up on the way. We didn’t chat too much with the locals, because they didn’t speak any English, but it was interesting to see another example of village life. 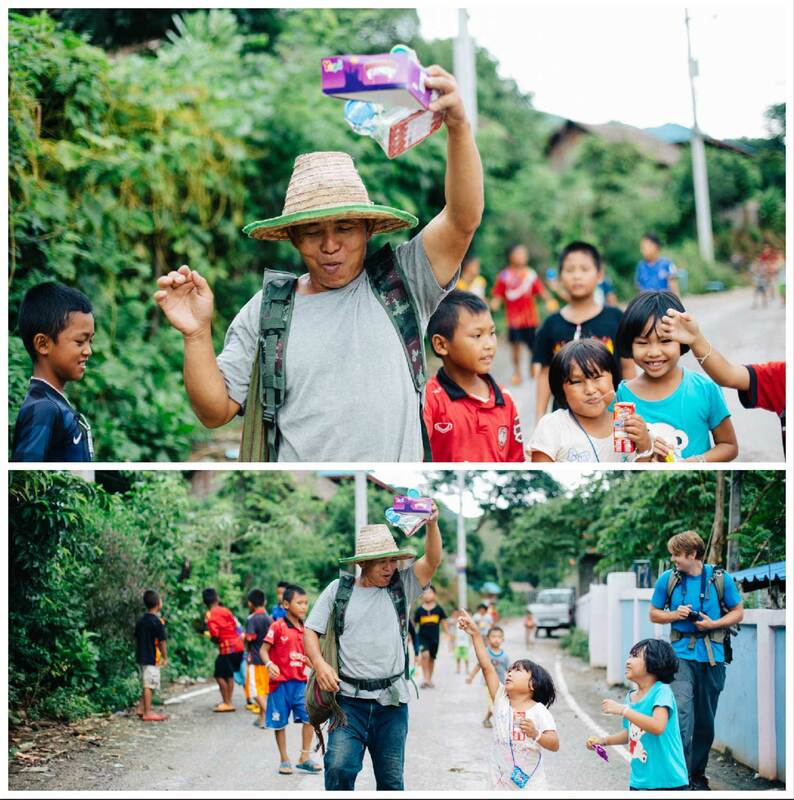 On our way out, we bought quite literally all the candy in the entire village and handed it out to the swarm of young children that quickly congregated around us. The locals preparing some rice. None of the villagers had seen a drone before and were super curious to watch Jason fly it. 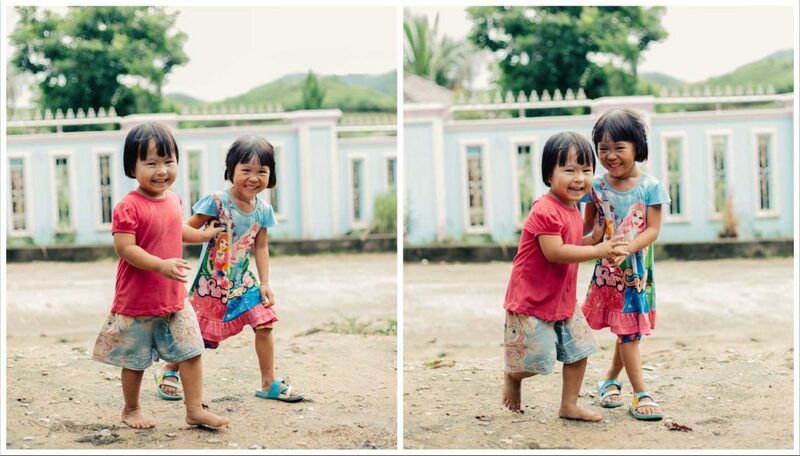 Two little village girls who were quite excited to see us. 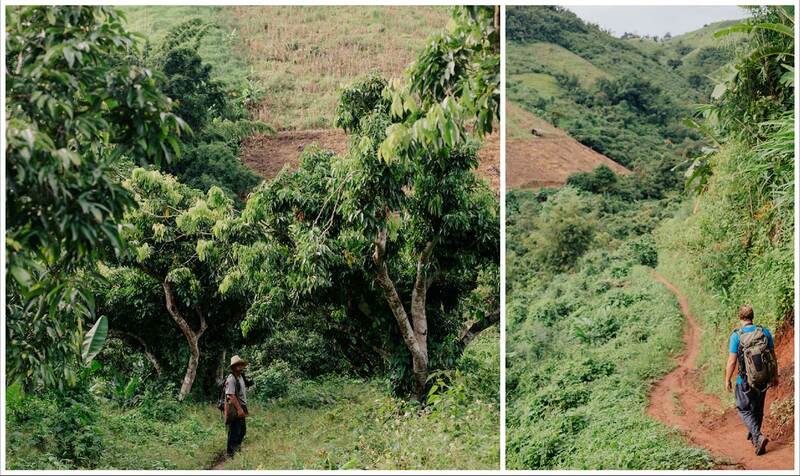 As we bushwacked through jungle to our next destination, Renato was whistling and laughing. It was quite clear he LOVED his time in the jungle. He would show us how to blow up a flower bud with air and pop it on your forehead, or how to send blades of grass singing through the air. Whenever he got a chance he would chop down some bamboo and make something handy out of it, or give us some tree bark to chew as it was their form of “gum.” (It was not good. Hah) He told us what this tree was, or about the history in the area. It was an incredible experience and we learned a ton, so we didn’t even mind that we were being eaten alive by mosquitos. Or that vines were constantly trying to plant us face first in the mud. Eventually we got to the long neck Karen Tribe. We only stayed briefly, as it seemed they felt the need to put a show on for us when we were there. Visiting the long neck tribes in Thailand is a somewhat controversial thing to do, as the wearing of the rings on their necks over time makes it so the women are physically unable to NOT wear the neck rings after a certain point, and also because it was a practice that they had stopped, but then readopted because they can make money off of tourism from it. 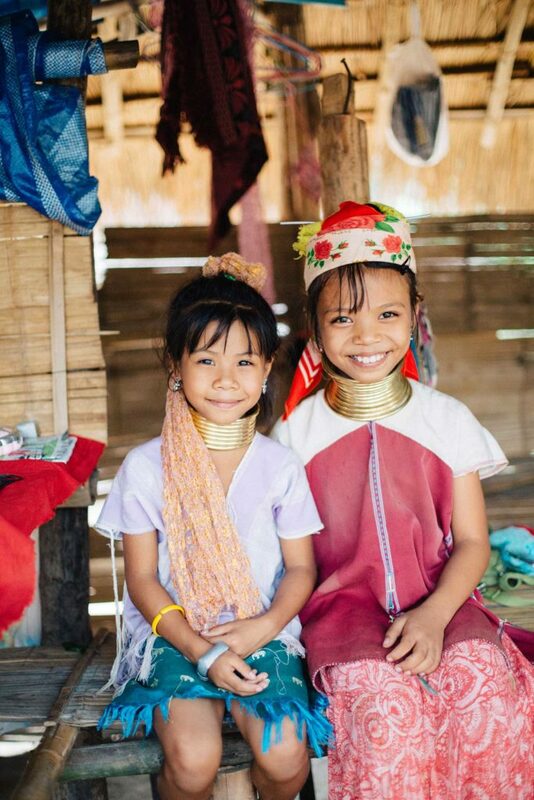 Two girls from the Karen Long Neck Tribe. At the end of the day, we were tired, soaked through, but so thankful for such a unique opportunity. For anyone who wants to see the “real” Thailand, and meet some of the nicest Thais there are, we can’t recommend Renato Bamboo House enough. 0 Comments on "Renato Bamboo House / Our Thailand Home-stay"